A final letter written by Sen. John McCain was read by his spokesperson Rick Davis on Monday, where the former Vietnam POW and patriot lawmaker called himself the “luckiest person on earth.” In a touching farewell letter written before his death, U.S. Senator John McCain thanked the American people for the “privilege of serving” them. The 81-year-old, who had been elected into the Senate six times, also expressed his gratitude to his fellow Americans and offered words of wisdom for the future of politics. McCain, who ran for president in 2008 against former president Barack Obama and was a vocal Trump critic, passed away on Saturday after choosing to discontinue treatment for brain cancer. 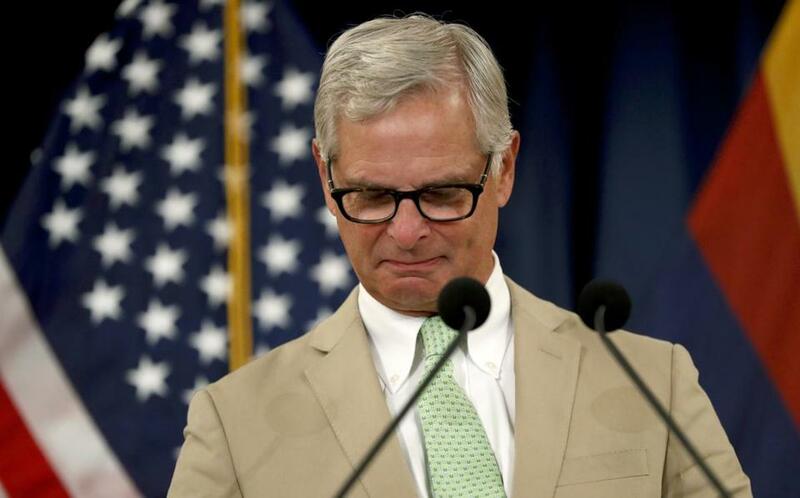 Rick Davis, the McCain family spokesperson and the former presidential campaign manager for John McCain, read the farewell statement at a press conference in Phoenix, Ariz., on Monday. “Thank you for the privilege of serving you and for the rewarding life that service in uniform and in public office has allowed me to lead,” the statement reads. McCain served in the U.S. forces during the Vietnam War, and was taken prisoner. He lived most of his life in the public eye, surviving war, torture, scandal, political stardom and failure. But he said despite any issues, he treasured his many experiences. He praised his family, and the American people, and attributed his happiness to them, saying he was happy to use the phrase “fellow Americans” the most. McCain often spoke out against current U.S. President Donald Trump, even though they were part of the same political party — drawing heavy criticism for voting against the GOP health care bid six months into Trump’s presidency. “We weaken our greatness when we confuse our patriotism with tribal rivalries that have sown resentment and hatred and violence in all the corners of the globe,” he wrote. Though he didn’t mention Trump by name, there is speculation the final sentences in the letter are about him. “We argue and compete and sometimes even vilify each other in our raucous public debates. But we have always had so much more in common with each other than in disagreement. If only we remember that and give each other the benefit of the presumption that we all love our country we will get through these challenging times.